We’ve just updated ArtRage for iPad to include support for two new pressure sensitive styluses from Wacom, the Wacom Intuos Creative Stylus 2 and the Wacom Bamboo fineline. With their winning combination of ergonomic design and artist focused approach, we wanted to make sure that you could use these new styluses with ArtRage as soon as possible. The new styluses feature more durable, better designed and narrower nibs, which can be used with precision on any capacitive touchscreen, from tablets to smart phones. The Wacom Bamboo fineline is available to purchase now, and introduces a long-awaited thinner tip to allowed more precise, fine lines and improve the experience of your inking and painting. While it’s designed for note taking, it should also seriously benefit artists as well. The tip is a miniscule 1.9 mm, compared to the usual 8 mm. 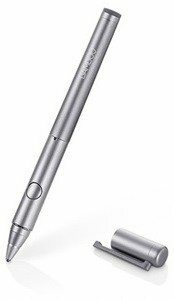 The Wacom Intuos Creative Stylus 2 is not yet available for sale, but it is available for preorder and will be in store in mid-October. This more professional level stylus is a serious upgrade to the existing Wacom Intuos Creative Stylus, and improves control and precision for serious artists, with its strong, thin tip and 2048 levels of sensitivity.It’s not just an iPad stylus, but should be an effective addition to the workflow of Cintiq and Intuos touchscreen artists. Wacom has also just released the non-pressure sensitive Bamboo Solo and Bamboo Duo for more casual users, which are affordable, elegant and well designed for ease of use. 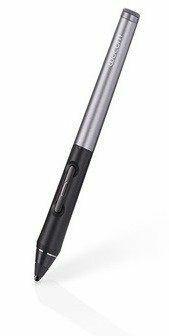 These are basically the same stylus except that the Duo also has a normal ballpoint pen so it’s a dual function stylus pen. These are automatically supported by ArtRage, as they do not require a Bluetooth connection. Compatibility: All iPads featuring Bluetooth® Smart technology (iPad® (3rd or 4th generation), iPad Air®, iPad mini® (1st and 2nd generation) and later models). Existing users should be updated to 1.6.5 automatically when your iPad connects to the internet (unless you have this feature turned off under Settings). 1.6.5 will be installed automatically for new purchases and you do not need to update anything. If you are updating to 1.6 from 1.5 or earlier, please shut down ArtRage fully and restart your iPad before using it the first time. This helps to avoid speed problems in first time setup that could cause ArtRage to shut down before fully opening the first time you launch it, and makes sure application preferences are clean for the new version. 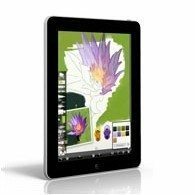 For more about our ArtRage for iPad app, see the ArtRage for iPad Product information on our website, or just go straight to the app on the iTunes Store. Pressure sensitive styluses require a bluetooth connection, which takes a couple of steps to set up. If you are having problems with your stylus, the first thing to check is whether it is connecting properly to the iPad. If you’re having problems with your iPad app, try looking through our ArtRage FAQs.